Want to be the new ghoul at Monster High? 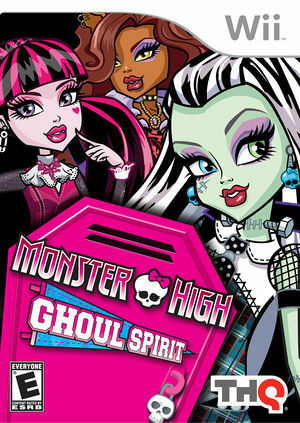 Now you can join the student bodies with Monster High Ghoul Spirit, the Video Game. Mix and mingle with the Monster High guys and ghouls, perform creeparific activities, build a freaky-fab reputation and find out if you have what it takes to be crowned Scream Queen. Be the New Ghoul in School! The graph below charts the compatibility with Monster High: Ghoul Spirit since Dolphin's 2.0 release, listing revisions only where a compatibility change occurred.